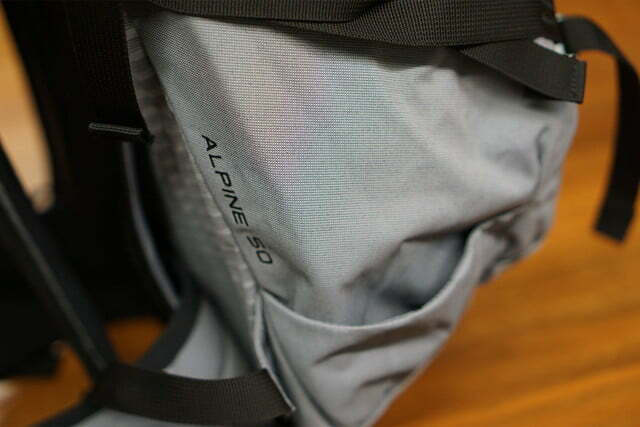 The Summit Alpine 50L pack is unquestionably the lightest 50L pack for dedicated alpinists and mountaineers. The North Face continues making strides in the mountaineering market with its FuseForm technology and the Summit Alpine 50L Pack is representative of the company’s “Seamless Vision” as the first outdoor gear product in its Summit Series employing fused fabric. 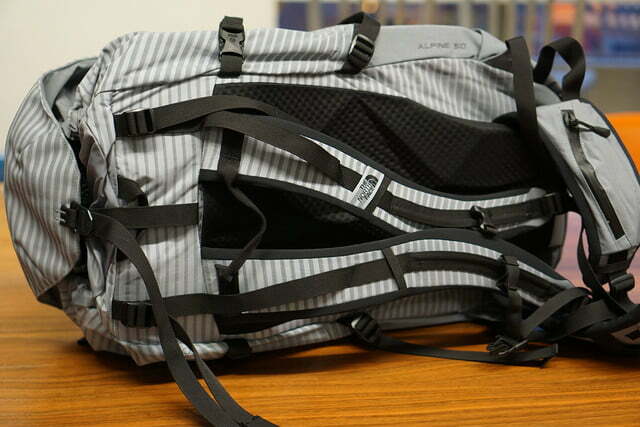 It is rated to carry 50L and weighs only 2.5lbs, making it the lightest alpine pack in its class. The North Face began its endeavor into FuseForm technology with the release of its first batch of Summit Series outdoor apparel in 2015 — geared specifically towards a minimalist approach within the alpine world. FuseForm technology involves weaving together 70 denier and 40 denier Cordura Nylon fibers to integrate abrasion resistance without sacrificing breathability. This ‘fusing’ technology replaces traditional stitching, eradicating the flaws of needle points and minimizing seams. What remains is a single piece of fabric with varying properties. 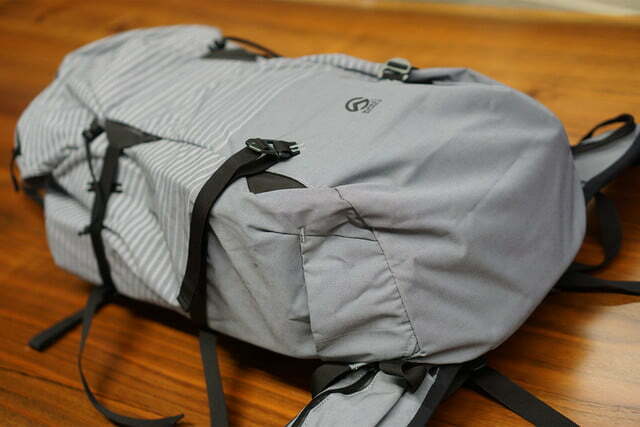 The integration of the material from apparel into carrier gear required an in-depth analysis of backpack composition and paying attention to points of weakness. “Fuseform is a weaving process so we can change the both how the fabric is woven and what threads are used. On this product, we chose a weave pattern that fit with the shape of the pack and chose Codura threads for more abrasion resistance,” Rogers said. 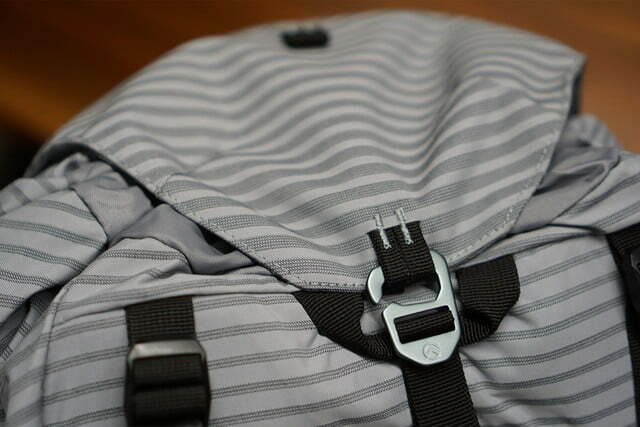 An initial glimpse of the backpack reveals its sleek, ribbed fabric design that appears rigid. Horizontal fusion lines run in intervals from the lid to three-quarters down the bottom of the bag. An obvious lack of needlepoints makes it look immediately durable. The fusion lines become thicker further down the bag – where it must bear the most weight – and neatly transform into one complete fused bottom scoop at the base of the backpack. FuseForm technology was developed to reduce seams and weight. 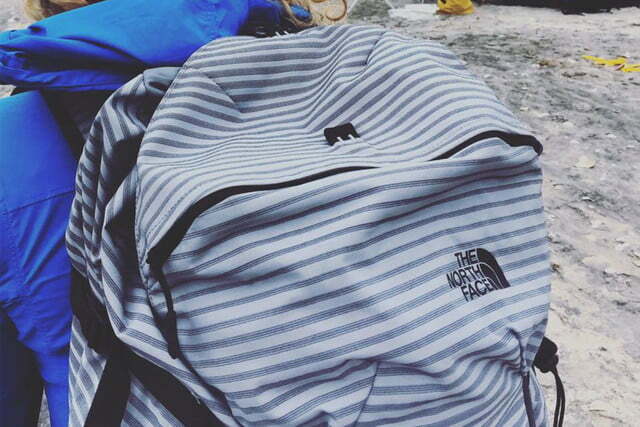 The North Face said that purpose of the product dictates where and how seams end up on a product. The only obvious needlepoint seams appear around the contours of the zippered half-lid and waist belt, holding the interior protection fabrics in place. 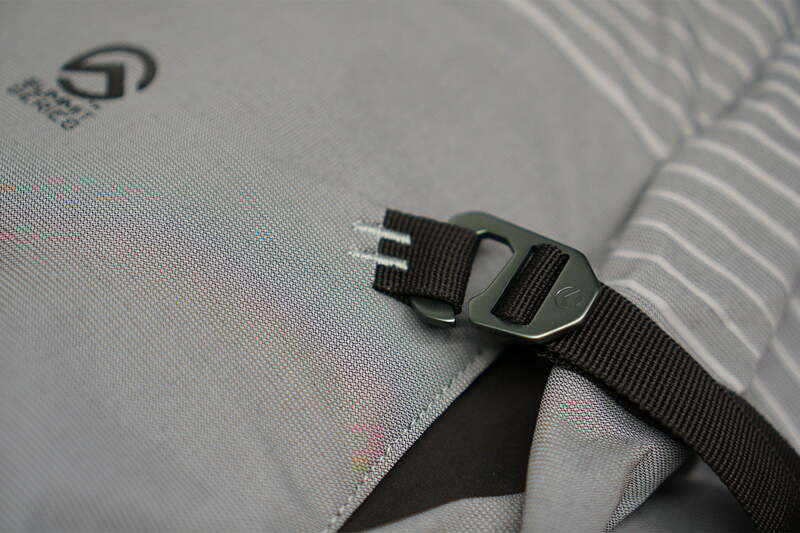 Fused seams are used throughout the body of the backpack, angled in purposeful lines designated for equipment, such as ice axes. “We wanted to ensure durability in the boot of the pack and reduce seams overall, so we used darting to create a lot of the shaping in the pack and integrated the top lid into the pack body all which reduced seams and weight,” Rogers explained. 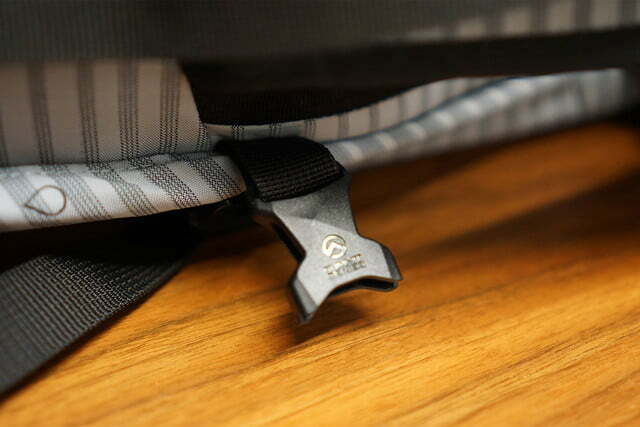 The rigid feel of the fabric sets it apart from other backpacks, making it almost able to stand up completely unsupported when empty, as opposed to the soft, crumbling property of sewn fabric bags. 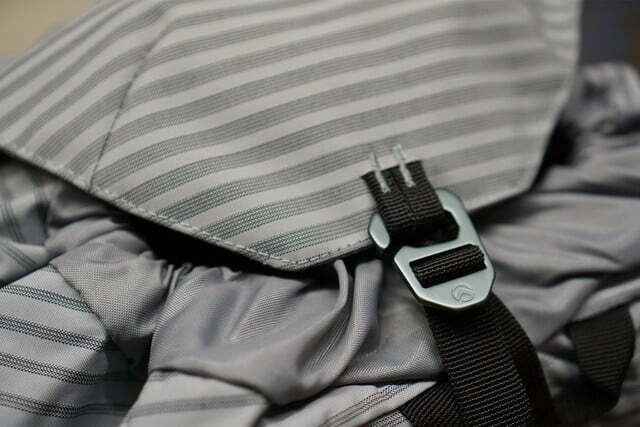 The fabric is not just stiffer, but also lighter than materials used in other packs. 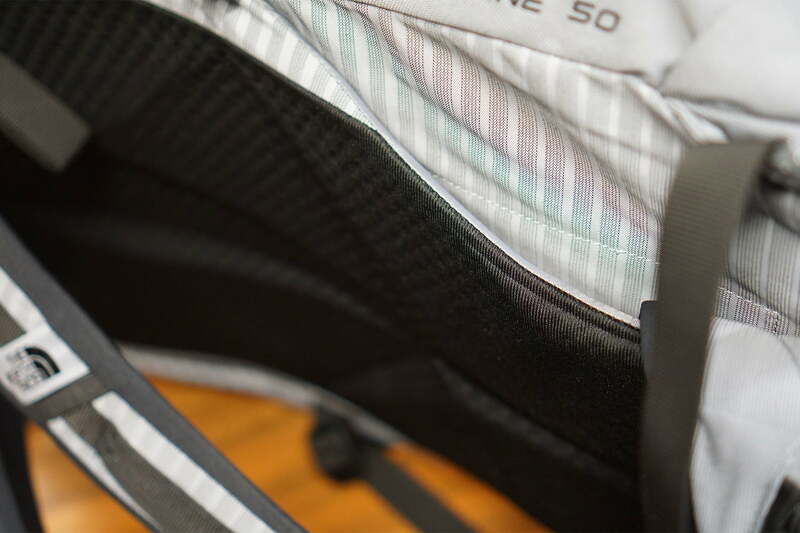 “This led us to the striped design you see on the pack that allows more durability in both key areas and throughout the pack without the weight penalty of using different fabrics of similar durability and weight paneled into the pack,” added Rogers. While Conrad Anker and Renan Ozturk tested the Summit Series products in the Himalayas the previous winter and found the products both streamlined and effective, we wanted to draw our own conclusions and test out the Summit Alpine Pack on a few different expeditions. We loaded up the Alpine 50L pack to its full capacity for a long hike across North Carolina’s Shackleford Banks National Seashore. We wanted to see how well it would perform in terms of heavy load bearing across rugged terrain. The sleek, lofty interior of the pack allowed for packing ease and efficiency. The unique pull-close top-lid feature made for easy closure and equal rope carrying capacity. The only downside was the finicky slide-through buckle that made the pack very difficult to open and close, and it felt much less secure than traditional snap-close buckles – even if it might perform just as well. As far as comfort is concerned, there is no match for the Summit Alpine 50L. The curved back pad contours the body, eliminating the discomfort garnered from straight back pads. The shoulder straps curve inwards at the perfect angle to allow for unrestricted arm movement and the waist band is padded enough for all day comfort, yet removable when not needed. A grueling half-day hike through undulating sand dunes left the hiker free of shoulder and back discomfort. 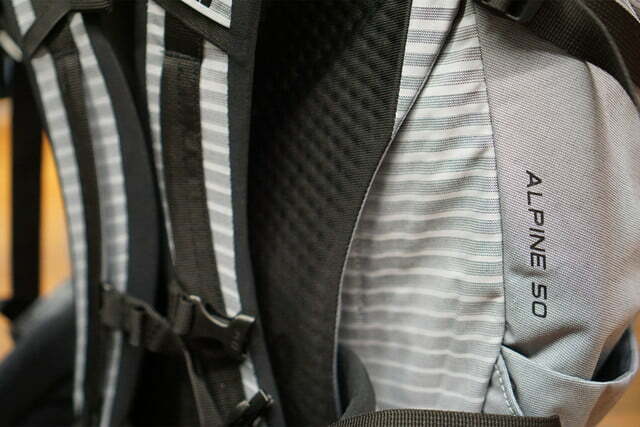 As far as comfort is concerned, there is no match for the Summit Alpine 50L. 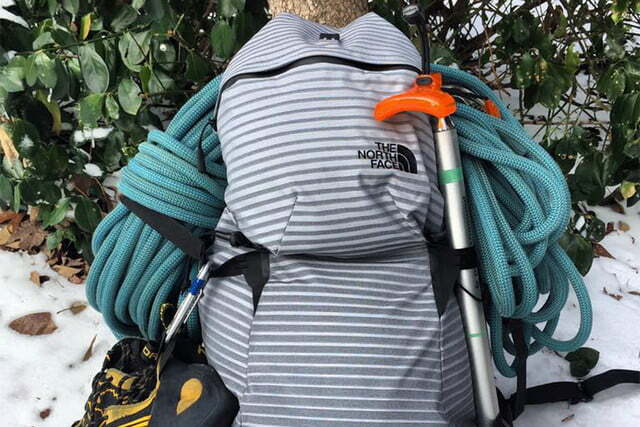 A second expedition with the Summit Alpine Pack along a portion of the Sea to Summit trail on a freezing, snowy day confirmed our initial evaluations. 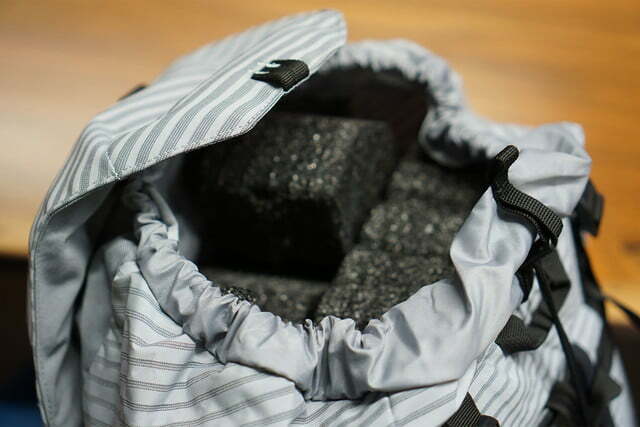 The fused fabric proved to be extremely abrasion resistant to the normal snagging and scuffing of trail use and should hold up well in icy, alpine environments. Although not waterproof, the Summit Alpine Pack revealed to be adequately water resistant, and stayed dry even after prolonged contact with snow. For a final trial, we hiked into the South Side region of Looking Glass Rock in Brevard, North Carolina for a day of multi-pitch traditional rock climbing. The removable waist belt worked well with a fully geared harness and equipment, and the contoured shape ensured no pack-related discomfort while climbing. The outside zip-close lid was notably appreciated at small belay ledges, allowing both the leader and seconder easy access to water and food supplies. The North Face includes a lifetime warranty that covers defects in materials and workmanship regardless of the age of the product, but does not cover normal wear and tear. The Summit Alpine 50L pack is unquestionably the lightest weight 50L pack on the market for dedicated alpinists and mountaineers. Its minimalist characteristics are solidified by FuseForm technology, making traditional stitching obsolete. The Mountain Hardwear Direttissima 50 is a similar product with equal durability, but has unnecessary features that reduce comfort and add weight. For the equal durability and weight ratio of the Summit Alpine 50L pack, there is no better alternative. North Face guarantees a lifetime for its materials and workmanship but due to normal wear and tear a backpack of this composition should last at least 10 years. Buckles and straps will bust before the fabric gives way, requiring their individual replacement but not replacement of the whole pack itself. Do buy the Summit Series Alpine 50L pack if you are a climber, alpinist, or mountaineer seeking the lightest weight pack and a minimalist approach. Don’t buy the Summit Series Alpine pack if you are looking for a pack with exclusive features or a bunch of bells and whistles.